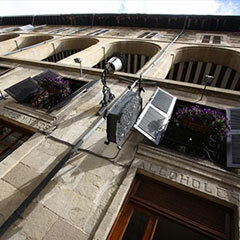 Located in a building dating back to the 15th-16th Century, El Portalón is one of the most prestigious restaurants of Alava with Renaissance, Gothic and Mudejar outstanding features. In past times, the restaurant operated as an inn for traders. 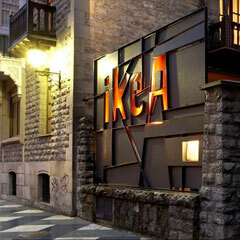 Arkupe restaurant is located in a building dating back to the 17th Century, in the Old Part of Vitoria-Gasteiz. 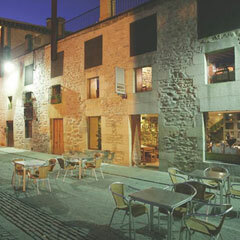 Its delicious dishes are based on Basque traditional cuisine, which can include one of the excellent clear soups to be found in its broad wine list. One of its most famous dishes is “pil-pil” cod. Moreover, its quality-price rate is quite good. 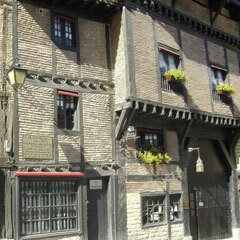 Strategically located in the heart of the Medieval Vitoria, in the square of Matxete, where the rulers of Álava were sworn, we find the charming Matxete Grill. Meats and grilled fish, stews and various types of salad, plus homemade pastries make an excellent menu with its wide traditional cuisine and nouvelle Basque cuisine coexist harmoniously. 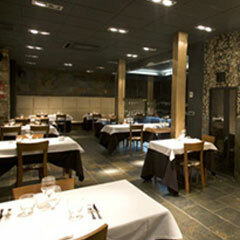 After forging a career in the best restaurants of the Spanish State, Unai Fernández de Retana joined his brother Patxi in order to open restaurant El Clarete in 1998 in the very centre of Vitoria-Gasteiz, near the old town. The Fernández de Retana brothers defy traditional cookery by betting on an innovative and signature cuisine full of imagination that made Unai get the Basque Champion of Young Chefs prize. Despite the fact that the restaurant is small, the facilities consist of nine tables and the atmosphere is intimate and cosy.